RICHMOND, BC--(Marketwired - January 15, 2014) - The Boston Pizza Foundation today proudly announced the launch of a new signature cause for its national fundraising and charitable efforts called Boston Pizza Foundation (BPF) Future Prospects. BPF Future Prospects will work with leading organizations across Canada to raise money and awareness for role modeling and mentoring programs that help Canadian children and youth reach their full potential. "Boston Pizza believes that strong role models inspire kids to be great," said Cheryl Treliving, Executive Director of the Boston Pizza Foundation Future Prospects. "With the launch of Future Prospects we are committed to working with our franchisees from coast-to-coast to address the growing need to provide kids with access to mentors and role models that inspire them to thrive, succeed and realize their individual goals." Earlier this year, BPF Future Prospects announced a five-year pledge to invest a minimum of $1.5 million in support of mentoring programs that help increase the number of 'Bigs' participating in Big Brothers Big Sisters. "The cause of mentoring and role modeling is of a growing concern in Canada, and collective action is needed to ensure the more than 1 million Canadian children at risk receive the support and guidance they need," said Bruce MacDonald, President and CEO of Big Brothers Big Sisters of Canada. "A recent study by the Boston Consulting Group found that, over their working lives, former 'Littles' will earn on average $315,000 more than kids from similar family and economic backgrounds who did not have a Big Brother or Big Sister to mentor them as children." This new direction for the Boston Pizza Foundation is the result of a deeply held and long-standing commitment to mentorship by Jim Treliving and George Melville, Boston Pizza's co-owners and co-chairmen, who recognize the value of mentorship, from both an individual and a community level. "For 50 years, Boston Pizza has been involved with causes that are important to us as an organization as well as to our people," said George Melville, Co-Owner and Co-Chairman of Boston Pizza International. "We see the impact and benefit of strong mentorship in our restaurants every day as more than 22,000 young people are employed at Boston Pizza restaurants from coast-to-coast." "If you ask any successful individual in business, sports, the arts or the public sector, they'll tell you that they couldn't have got to where they are today without the support and guidance of a role model or mentor," said Jim Treliving, Co-Owner and Co-Chairman of Boston Pizza International. "We are very proud to launch Future Prospects and not only give back to the community, but invest in the future of Canadian kids and inspire a new generation of leaders." BPF Future Prospects has also committed $1 million in support of Live Different, a Canadian not-for-profit organization that delivers motivational school assemblies, workshops and leadership training programs through Canada's public, Catholic, and independent middle and secondary schools. BPF Future Prospects will also continue working with long-standing partners Kids Help Phone to ensure young people will have ongoing access to its essential, professional and innovative counselling and support services 24/7 and the JDRF Ambassador and Leadership program which provides youth and teens with type 1 diabetes opportunities for leadership, mentoring, and presentation training. "We are very proud to partner with leading organizations like Big Brothers Big Sisters, Live Different, Kids Help Phone and JDRF, who all share a common objective with us: Help Kids Be Great," said Cheryl Treliving. "Together with these organizations and with the support of our franchisees and generous Guests, we believe we can have a positive impact on the lives of many Canadian children." Boston Pizza Foundation Future Prospects was established in 2014 to raise funds and awareness for organizations that provide kids in Canada with role models and mentoring programs. BPF Future Prospects is proud to partner with Big Brothers Big Sisters, Kids Help Phone, Live Different and JDRF. Since its inception in 1990, the Boston Pizza Foundation has raised and donated more than $17 million to directly improve the health and well-being of children and families. Boston Pizza International Inc. is Canada's No. 1 casual dining brand with more than 350 restaurants in Canada. In 2014 Boston Pizza celebrates 50 great years since opening our first location in Edmonton, Alberta in 1964. 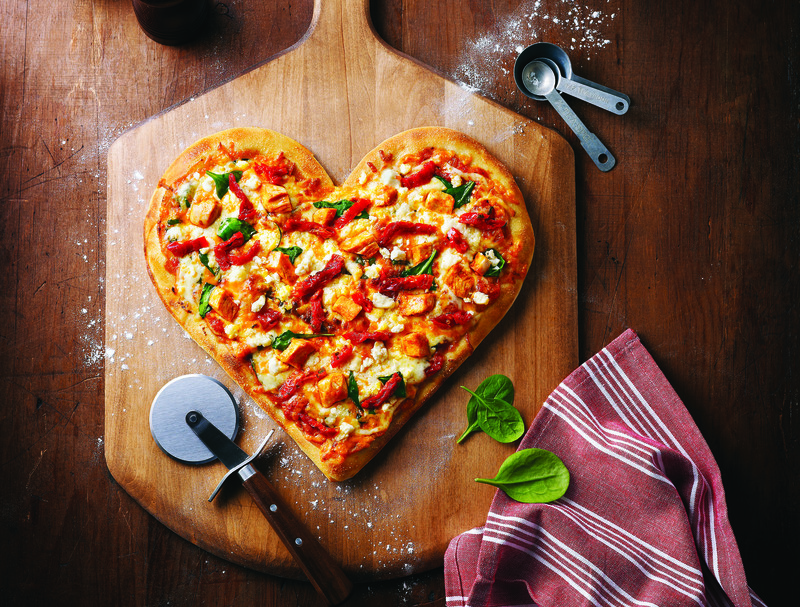 Annually, Boston Pizza serves more than 40 million guests. The company has been recognized as a Platinum Member of Canada's 50 Best Managed Companies. Boston Pizza believes that strong role models inspire kids to be great, and in 2014, the Boston Pizza Foundation created Future Prospects to help support organizations that mentor kids to reach their full potential. Boston Pizza International Inc. is located in Richmond, B.C. and has regional offices in Mississauga, Ontario and Laval, Quebec. For more information visit www.bostonpizza.com.